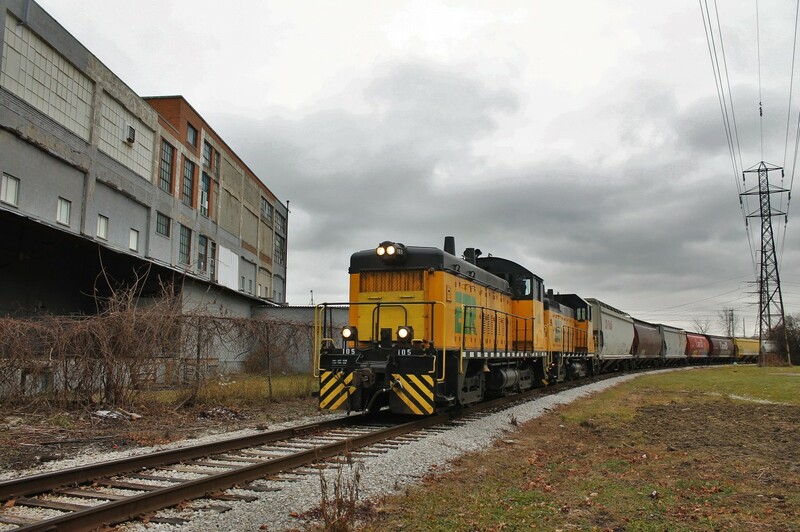 Railpictures.ca - Mike Molnar Photo: After recently taking a loaded grain train from CP, ETR wasted no time getting it out to Ojibway Yard for ADM. Here they are passing a storage warehousing facility between Crawford and Elm Avenues in West Windsor. | Railpictures.ca – Canadian Railway Photography – photographie ferroviaire Canadienne. Caption: After recently taking a loaded grain train from CP, ETR wasted no time getting it out to Ojibway Yard for ADM. Here they are passing a storage warehousing facility between Crawford and Elm Avenues in West Windsor.